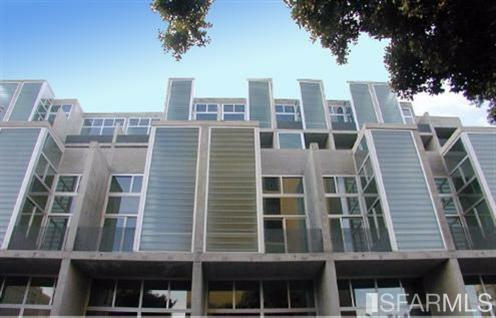 Stunning Yerba Buena Lofts facing quiet & bright Shipley Street! 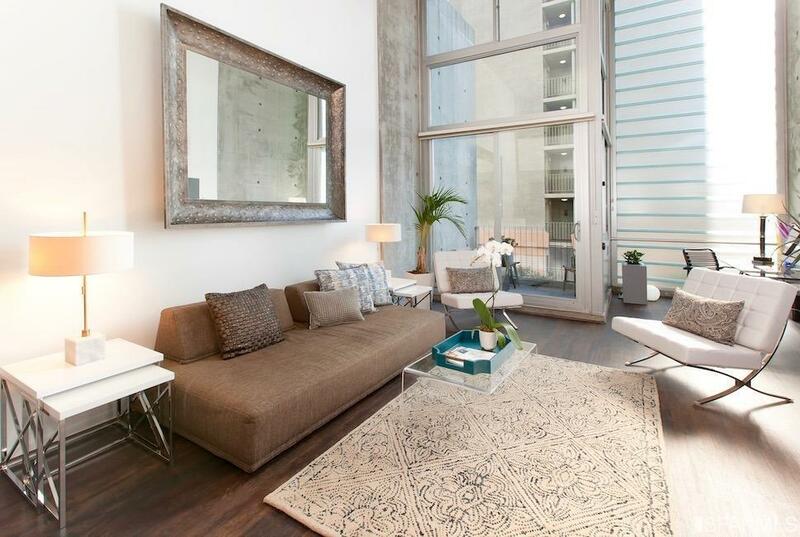 Amazing sunlight and spacious feel with high ceilings & oversized windows & GREAT SF LOCATION! UPGRADED new distressed wide plank floors, new paint, outdoor patio, great light, indoor deeded parking on same floor, and steps away. AMENITIES: Professional HOA Management: 24 Hour security which handles concierge room: key service, package delivery, cabs, dry cleaning, etc. 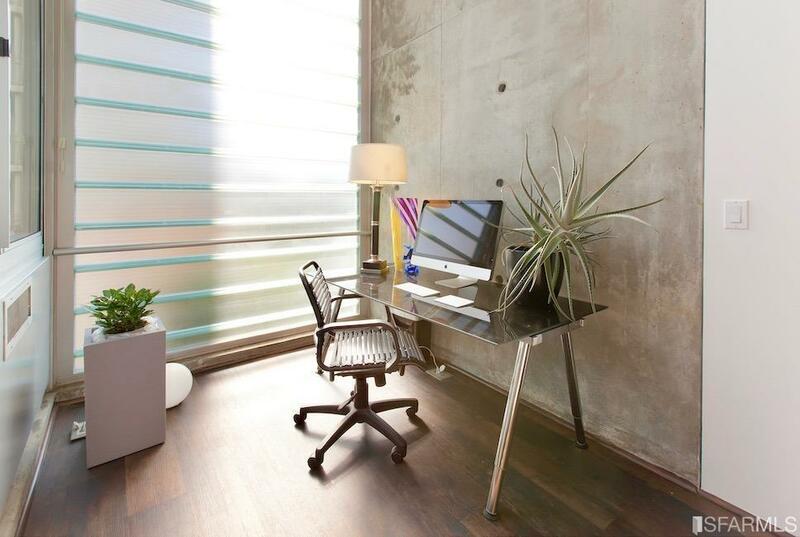 On-site professional property management, full-time staff. 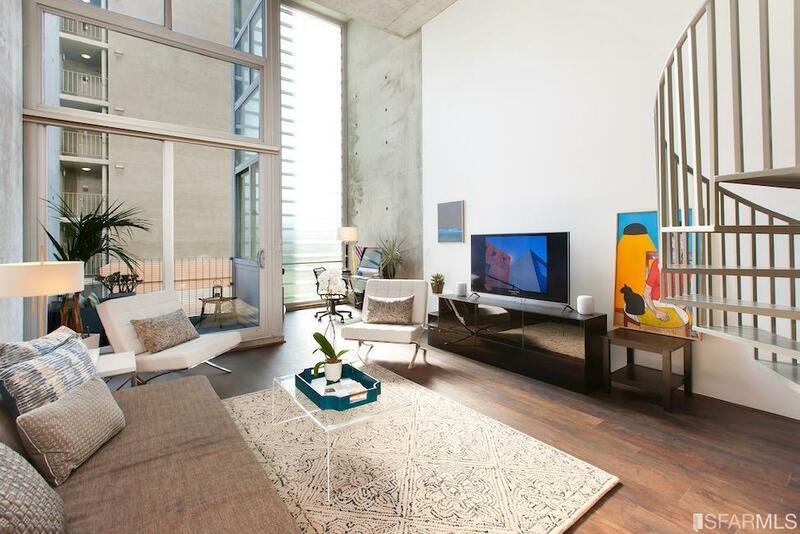 MODERN ARCHITECTURE: Designed by renowned architect Stanley Saitowitz! GREAT LOCATION: Folsom @ 4th WholeFoods, Trader Joes, Yerba Buena, Target, Union Sq, FiDi & Mission Bay! Subway connector station coming soon!